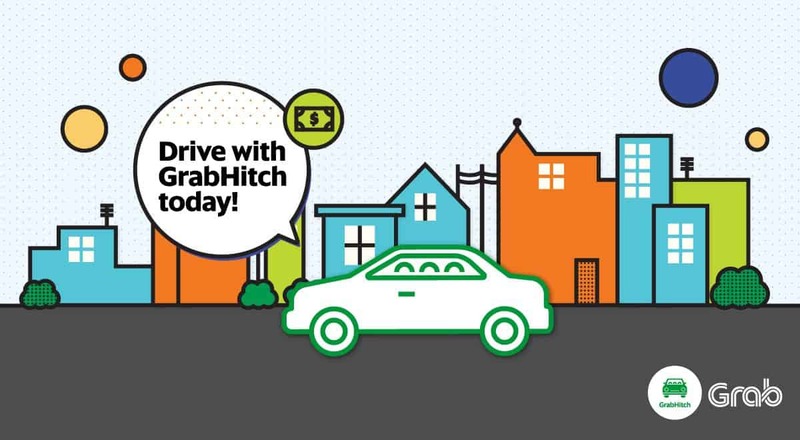 Get $30 when you sign up as a GrabHitch Driver today! We are a non-commercial social carpooling service that matches everyday drivers to riders going along a similar route. Anyone with min 1 year driving experience + access to a car can sign up! It takes LESS than 5 minutes to sign-up right from your phone, via the Grab app. You do NOT require any additional provisional license or commercial insurance. Choose WHO and WHEN to Hitch someone, it is entirely up to your own convenience. There is no obligation to do rides on a regular basis because you’re NOT a taxi driver or commercial car service. Share the cost of travelling and recover some petrol costs – Recover an average of $400 a month just by doing rides daily! Enjoy Hitch Club merchant benefits including enjoying after getting access to $88 car grooming packages at KGC after completing your 1st Hitch ride! More info here. Exclusively for KGC Workshop Customers! Get $30 when you sign up and complete your first ride as a GrabHitch driver with referral code HCKGC* by 31 January 2019! Your application will be approved in 1-2 business days! Still feeling unsure on how to sign-up directly? Leave your particulars in the form below and we will contact you in 1-2 working days to guide you. This promotion is only eligible for new GrabHitch drivers who sign up and successfully complete 1 Hitch ride as a driver between 1st January 2019 @ 00:00 hours – 31st January 2019 @ 23:59 hours (“Promotion Period”). 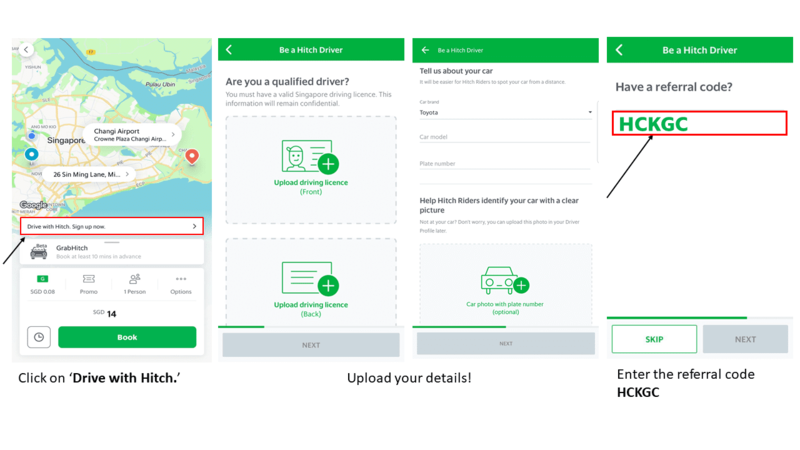 New drivers must sign up with the referral code HCKGC in order to qualify for the $30 credit. The processing of the $30 credit will only be conducted at the end of the month, i.e. post 31st January. Thereafter, please allow up to 10 working days for the disbursement of the $30 credit into your Hitch Driver wallet. Have questions? Email us at support.sg@grab.com with subject “HCKGC” and we will get back to you in 2-3 business days.